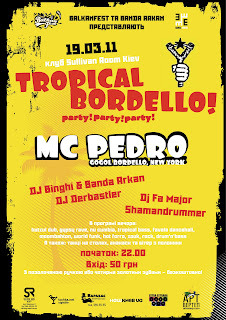 CHORD SNATCHERS vs YURI LEMESHEV-Insiders- 2011 new video! This is Brian Eno's first solo, all-song album since Taking Tiger Mountain By Strategy back in 1974, a year after he was edged out of Roxy Music. Thirty years on, his approach is more subtle than the arch, avant-garde pop of that era. But it's just as potent. 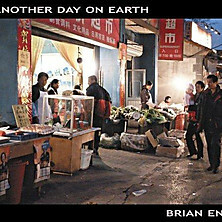 In fact "Just Another Day" is the most moving thing he has ever written. Latterly best known as an ambient composer, Eno's never been that far from the song, either as a collaborator, or producer with the likes of Talking Heads and U2. But given that he's helped developed generative music software that plays itself ad infinitum, one would think that the ancient art of songwriting would seem about as relevant to him as basket weaving. Not so. Ever provocative, he recently distanced himself from the contemporary obsession with hardware by proclaiming that the greatest challenge facing today's musician is to write songs. He's picked up his own gauntlet in some style here. Its nearest relative is Wrong Way Up, the album he made with John Cale back in 1990. But this is a moodier, more melancholic affair. Although his songs have never been particularly melodically developed, here their simplicity is their strength. "How Many Worlds" blossoms from primitive staccato piano lines into a gorgeous, string-driven instrumental chorus. There's a seductive spaciousness in this soundworld. On "Caught Between", Eno's voice croons from the distance over slow shimmering beats, and minimal piano and guitar lines. The ultra-sparse "Passing Over" showcases another fine Eno vocal performance, harmonising with himself, before switching on the vocoder for a crunchy, Darth Vader-like effect. In the 70s, Eno was intent on subverting rock lyric clichés, relishing the absurdities he came up with in the process. On Another Day On Earth he plays with language in a more considered, reflective way. This peaks on the last song, ''Bone Bomb'', sung by Aylie Cooke. "My body, so thin/So tired/Beaten for years," she intones in a haunting voice that is dramatically snuffed out into silence. An endearing collection of music, supported by fascinating notes and photos. 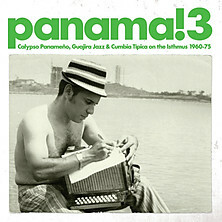 The little-known Central American state of Panama has become much more familiar through Soundway’s excellent series of compilations of vintage pop from its vaults. This third (and hopefully not last) volume concentrates more on the highly accessible local form of calypso, which makes it the most enjoyable so far. Most will associate Panama with the canal that runs through it, connecting the Pacific and the Caribbean, and the diversity of its music reflects not only the proximity of so many musical powerhouses (Cuba, Colombia, Trinidad etc) but also the diversity of the immigrant labour force that arrived nearly 100 years ago to construct it, or work in the supporting service industries. And then there are the influences from further afield, which reflect styles internationally popular during the era. One obvious example of the latter is the sassy ‘boogaloo gone Panama style’ of Los Silvertones (also featured on Volumes 1 and 2), which manages to also include a woozy quote from Gershwin’s classic Summertime. Another is the hilarious James Brown pastiche of Little Francisco Greaves’ Moving-Grooving, complete with shrieks, grunts and a funky drummer. The influence of neighbouring Colombia is clear in the rough cumbia stylings of Amalia Delgado con El Conjunto Inpiracion and Yin Carrizo. And Cuban sounds are, of course, omnipresent, most obviously in the work of Papi Brandao y Sus Ejecutivos, whose Bilongo includes the “kikiribu / mandinga” refrain, which will be more widely familiar from Mandinga on the debut album by the Buena Vista Social Club’s late pianist Rubén González. But it’s the numerous examples of ‘calypso Panameño’ which make this collection so endearing, kicking off with Lord Panama and the Stickers’ raucous, bilingual Fire Down Below. Other treats include the theatrical Chombo Pa’La Tienda by Soul Apollo with Frederick Clarke, Lord Cobra’s instantly catchy Colón Colón and the ghostly Masters Are Gone, (by Sir Valentino con Combo Esclavos Alegres), which is halfway to a gospel ballad. A whole volume or even series devoted to these guys would be more than welcome. Sublimely swinging cuts bringing the live cumbia sound to the studio. Soundway Records, the Brighton-based label dedicated to the mining of global grooves, might well only consider itself a conduit for the music it releases, and insist that the tunes are where the light ought to be shone. Realistically, though, were it not for them and their equally dedicated pals, you wouldn’t be reading a review of this music on this website. Cartagena! 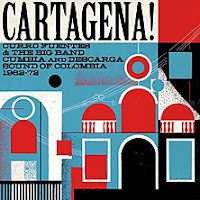 is a 19-track compilation, informatively subtitled ‘Curro Fuentes and the Big Band Cumbia and Descarga Sound of Colombia 1962-72’. 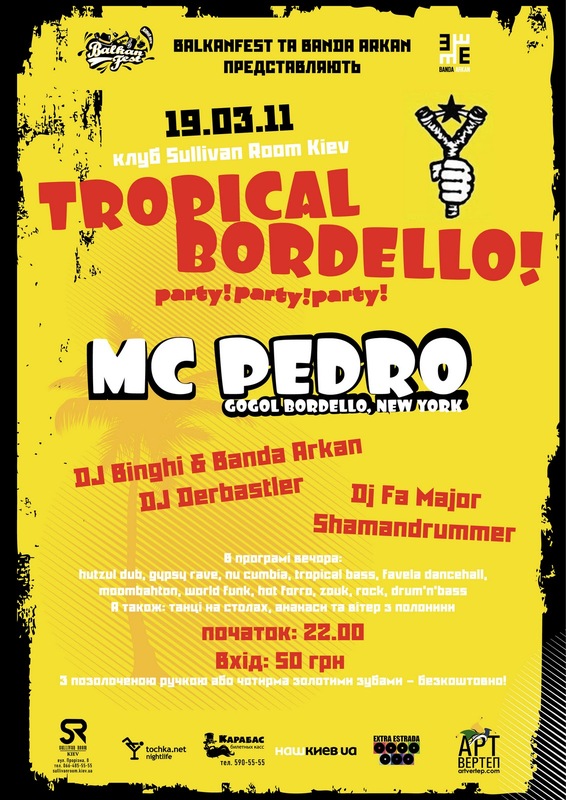 While cumbia, a style of band-led dance music built on woodwind and percussion, was ubiquitous in most of South and Central America from the 50s onwards, little of it travelled to other shores – so almost everyone who hears these songs will be doing so for the first time.